What good are the remnants of the past? The echoes of the past reverberate in the present, and to others, these are merely insignificant memories. However, author Norman Beaupre’s website www.nrbeauprebooks.com suggests otherwise. He explains how memories are a matter of great importance and that people should take some time to reminisce. In Beaupre’s blog, he discusses there is rediscovery of one’s true self by recalling the past. Childhood memories are people’s developing years; therefore, it has great impact on what they are today. Reflecting on these memories allows an individual to understand himself more. Revisit the memories of the past and discover the truth of yourself in it with Norman Beaupre’s help. 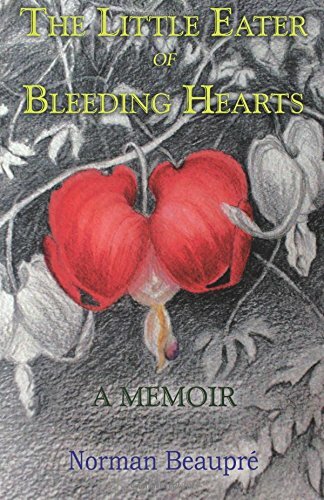 His book, “The Little Eater of Bleeding Hearts”, is available for purchase on his website. Norman Beaupre was born in Maine and is presently Professor Emeritus at the University of New England in southern Maine. He is the author of 23 books, some in English and others in French. In 2008, he was awarded the medal of “Ordre des Arts et Lettres” by the French Ministry of Culture and Communications in Paris for his outstanding contribution to French culture.